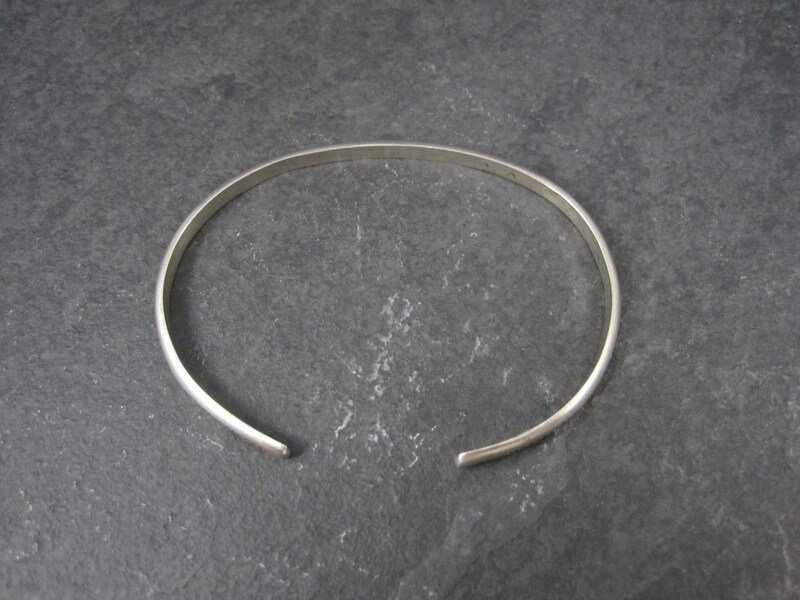 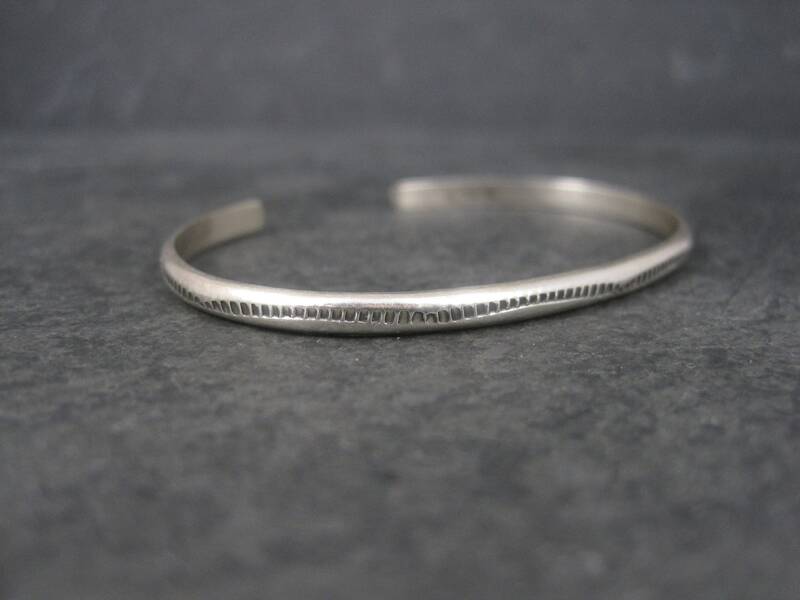 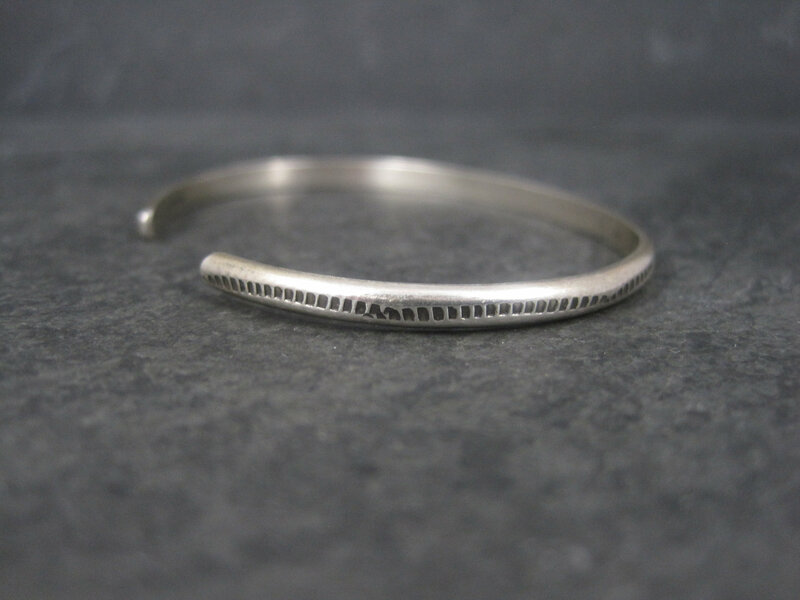 This beautiful, dainty cuff bracelet is sterling silver. 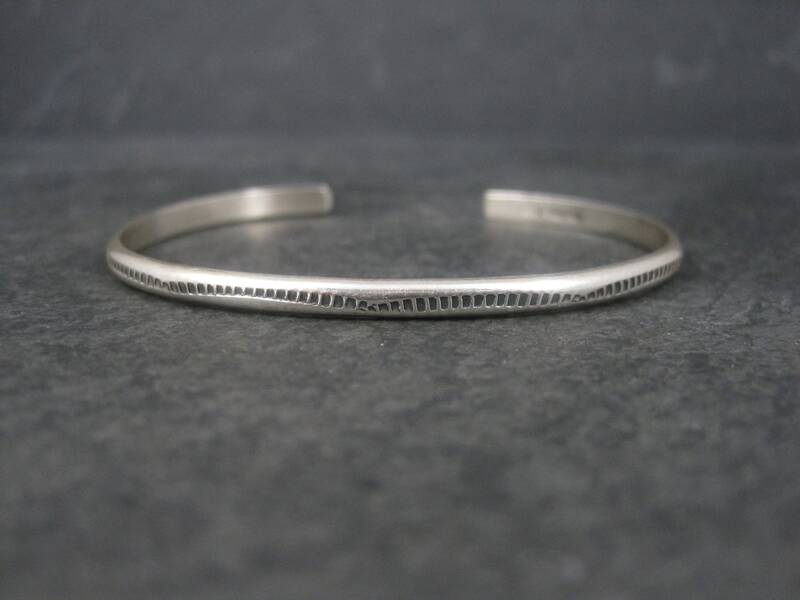 It was made by Franklin Tahe or his wife Verna, or possibly both as they collaborated on many pieces together. 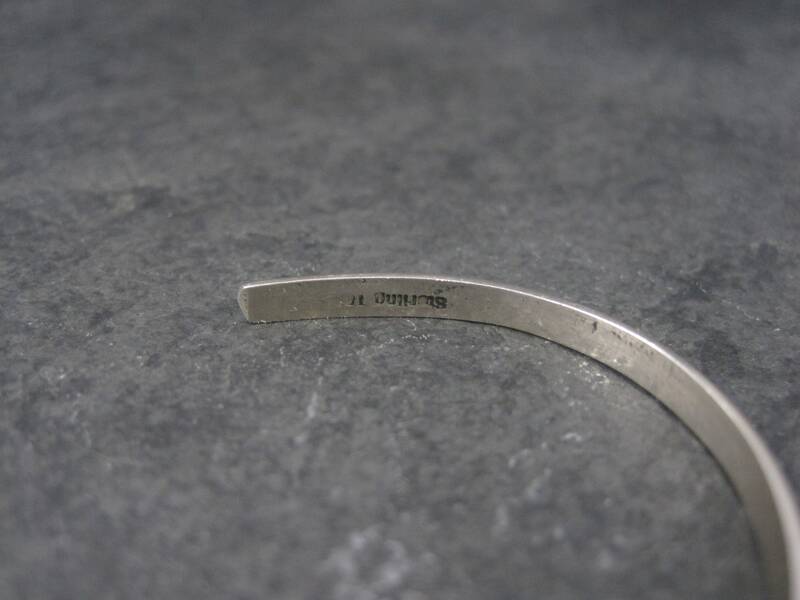 This bracelet measures 1/8 of an inch wide. 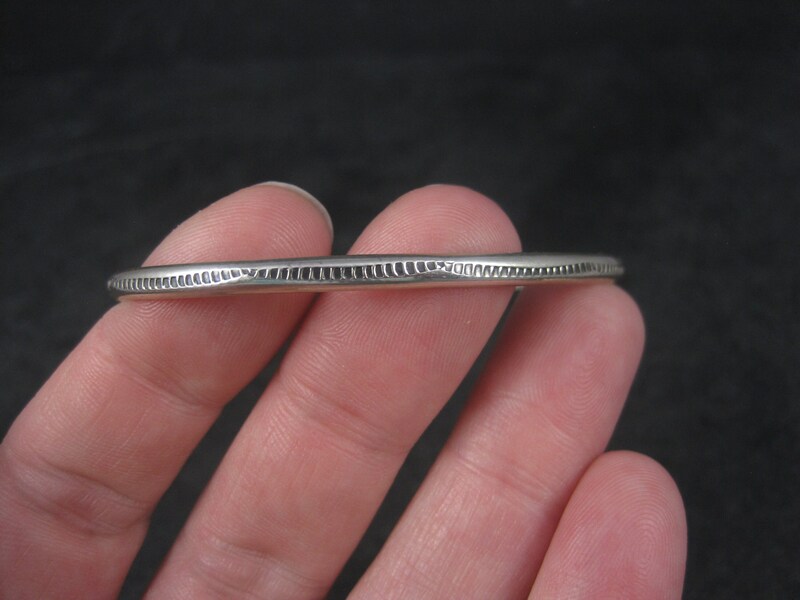 It has an inner circumference of 6 inches, including the 3/4 inch gap.